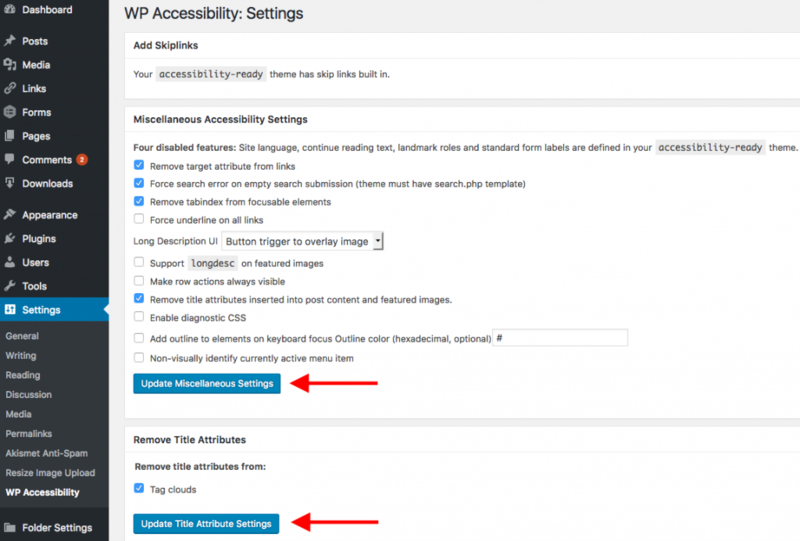 WP Accessibility helps correct a number of common WordPress accessibility issues. 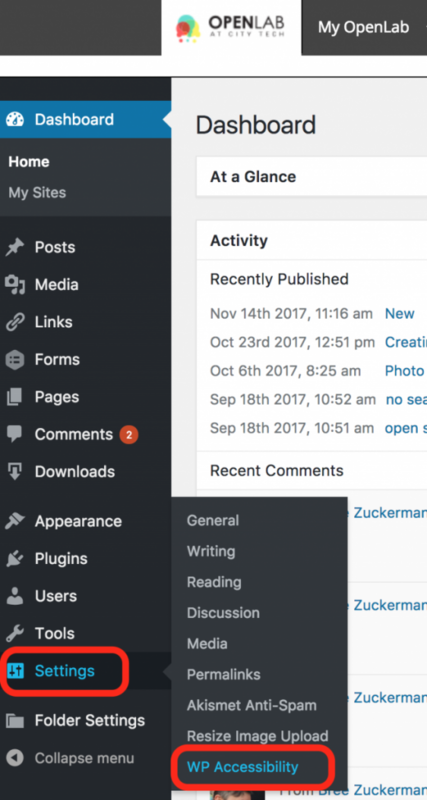 The plugin is activated by default on every OpenLab site, so you don’t need to activate it on your site, and you won’t see it listed in Dashboard > Plugins. Enforces the use of Alternative text, or “alt text,” for images. 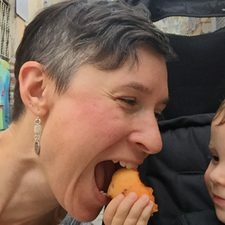 This short description for images will be read aloud by screen readers, and is required for accessibility. 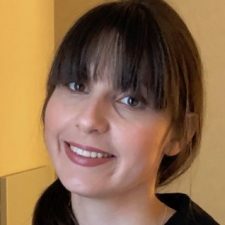 Removes the target attribute from links, which makes them open in a new tab, which is not a good practice for both accessibility and usability. 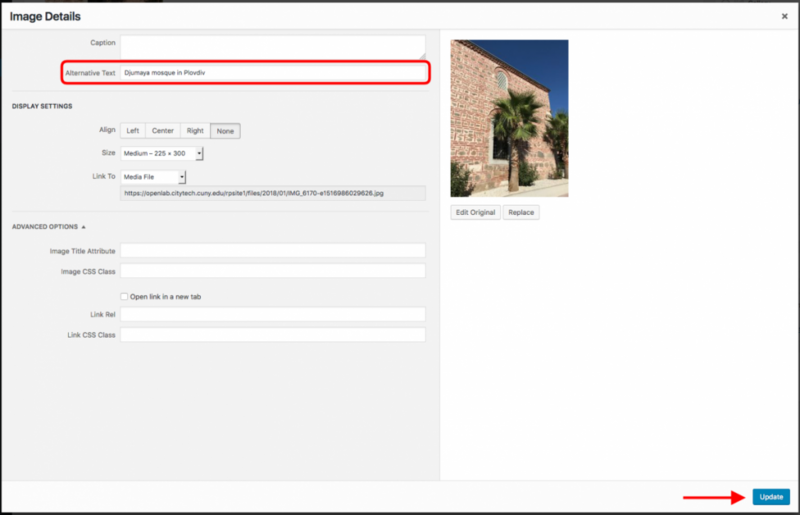 Removes title attributes for images and tag clouds. When you upload an image to your site, an image title is automatically created with the same name as the image file. Titles are optional and some browsers or devices may not support them, so it is better to include only alt text and avoid screen readers either missing the title or reading the same information twice. 1. 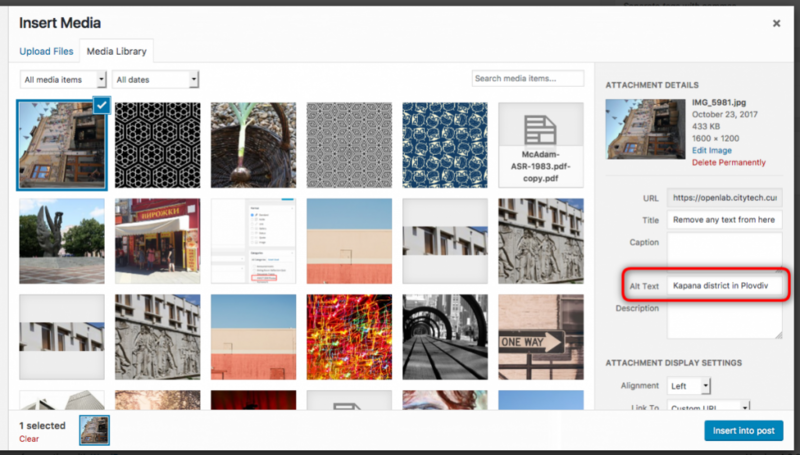 Whenever you add a new image to a Post or Page, include short text in the Alt Text field in the Insert Media pop-up box (shown in the screenshot below). 2. 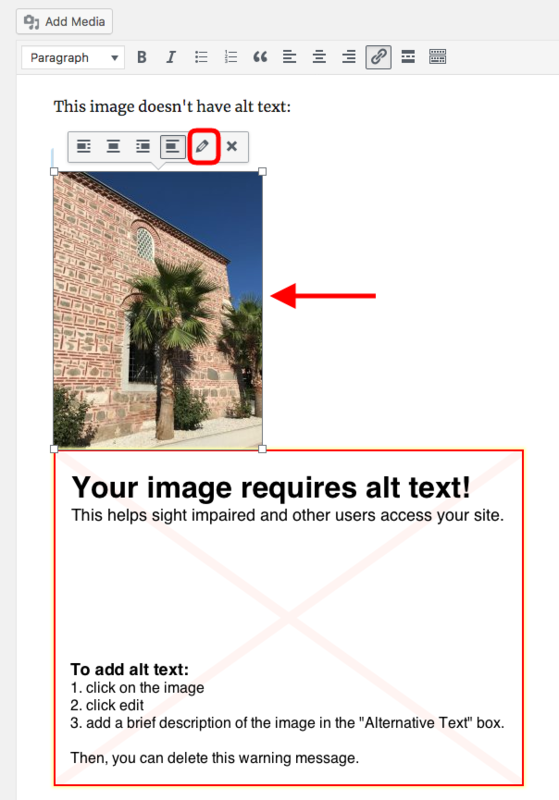 If you upload an image without adding alt text, the WP Accessibility plugin will prompt you to add alt text to your image if you haven’t already done so. 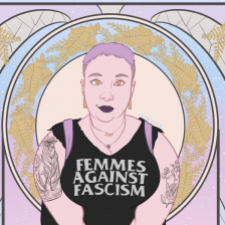 To add alt text, click on the image to reveal editing options, then click the pencil icon to edit the image. 3. Add a short description (you don’t need to include “image of” or “picture of”) in the Alternative Text box and click Update. 4. 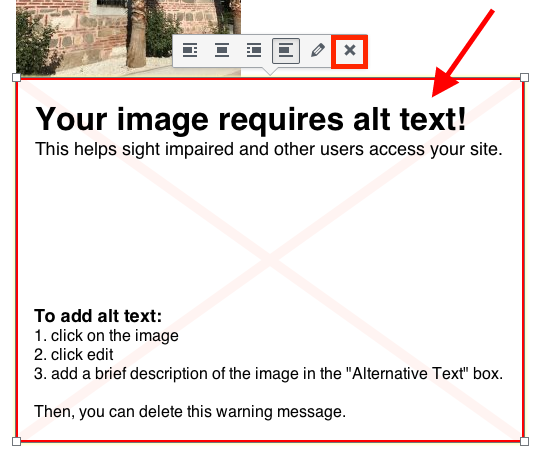 Once you’ve added alt text to your image, you can delete the alt text warning message. To do so, click the warning message to select it, and then press the delete key on your keyboard, or click the x icon shown below. 1. The plugin is already configured with the optimal settings, but you may change them if you wish. To access the plugin settings, go to Dashboard > Settings > WP Accessibility. 2. Check or uncheck the desired settings, and then click the Update Settings button in each section where you made any changes.